Medical Treatment and Healthcare Packages in Cyprus. Why should you consider any form of medical treatment in Cyprus ? There are many reasons why but the two best reasons are cost and the quality of the available medical facilities. Private Healthcare in many developed countries is very expensive, hence the need for health insurance cover. However,health insurance doesn’t cover pre-existing conditions and most health insurance contracts have strict conditions. If private medical treatment costs in UK are used as an example comparison with private medical costs in Cyprus, then costs are significantly cheaper in Cyprus, often half or even less than half. Certainly common healthcare such as dental costs in Cyprus average 50% less than UK. If you are coming to Cyprus, it is absolutely worth consulting dental surgeons in Cyprus. Cosmetic and plastic surgery also makes Cyprus a very popular medical destination. Cyprus offers world-quality maxillofacial surgeons, ophthalmologists, and many other specialised branches of medicine. There are high quality specialist doctors and surgeons particularly in Limassol and Nicosia (being the larger two towns) for ENT, (Ear Nose and Throat), Cardiology, Neurosurgery, Paedicatrics, Gynaecology, Oncology and many more. 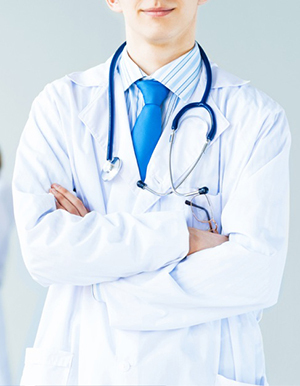 The majority of the doctors and surgeons in Cyprus are qualified from well-known reputable UK universities and spent a significant time in teaching hospitals and are very experienced. Up to date technical medical analysis equipment such as MRI, CT and all analysis and diagnostic facilities are available. You will be able to see appropriate specialists in days rather than weeks or months. You will be able to confirm costs or at least a close indication of costs with a simple phone call to any of the doctors and/or surgeons. Cost may vary, dependent upon the information a patient may provide and what the doctor/surgeon finds after examination but provided the quality of information you supply (i.e. MRI, X-Rays, blood tests etc) is very recent, differences can be expected to be small, if any. The doctor/surgeon will tell you if they will require further MRI/X-rays etc in Cyprus and this will be reflected in any cost information offered. Other costs to consider, the flight and accommodation after if required as with some operations such as joint replacement, flying isn't an option preferably for 2 to 4 weeks after the operation!